A group of investors from China and Taiwan and the Innovation Network Corporation of Japan (INCJ) have signed a memorandum of understanding (MOU) under which the former will invest in Japan Display Inc. (JDI) about $715 million and will become the largest shareholder of the manufacturer. The MOU was signed on Friday and it looks like it will be accepted by all parties. According to the terms of the MOU, the struggling display maker will get $715 million from China’s Silk Road Fund and Harvest Tech Investment Management, as well as Taiwan’s TPK Holdings and Fubon Financial Holdings. The group, which calls itself Suwa Investment Holdings LLC, will own a 49.82% stake in Japan Display and will become its major shareholder. Meanwhile, INCJ will retain control of a 12.69% stake. Japan Display was incorporated in 2011 merging LCD production of Sony, Hitachi, and Toshiba, backed by the Japanese government via INCJ. The company was listed on the Tokyo Stock Exchange in 2014. According to its financial reports, JDI has been bleeding money ever since accumulating a huge debt, which is why it needed an injection of capital. Japan Display’s most important client is Apple, which uses JDI’s displays for iPhones. Meanwhile Apple began to use AMOLED screens for advanced handsets starting from the iPhone X (launched 2017), whereas JDI’s JOLED division yet has to kick off mass production of OLED screens for smarphones. So far, JDI has only landed orders for screens used on Apple Watch devices. JDI is by far not the only company that is to receive a substantial capital injection by foreign investors. 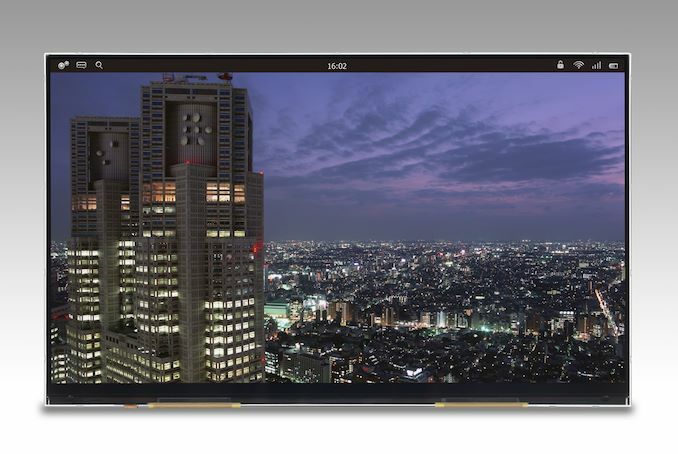 Earlier this decade Foxconn acquired Sharp, then the latter devoured Toshiba’s PC business. Meanwhile, Hisense bought TV business from Toshiba, which also had to sell its NAND flash business to a consortium of investors from abroad. 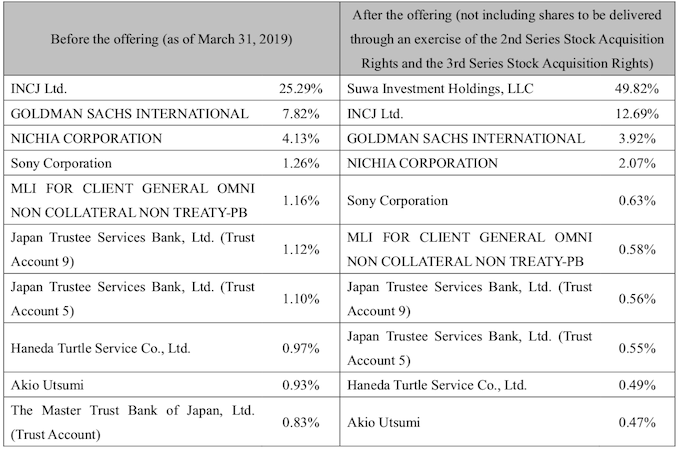 I know nothing about these transactions, nor their companies or histories, but in most "debt-to-equity swaps" not only are the vultures circling, they have already selected the bones they want to pick clean. Debt-to-equity swaps are rarely used by vulture investors. Equity has far less legal protections than debt. Most debt-to-equity swaps are for restructuring purpose where debt owners take a hair cut in their investments and existing equity investors getting wiped out. This is not how vultures make their money. You guys are way more up to speed on this than me. China Silk Road, et al, is effectively saying, "Japan Display is worth 12.69% of $1.43B US." As opposed to 'equity injection' it smells like 'equity dissolution,' or discount/'haircut' as stated. "Japan Display was formed in 2012 by combining the LCD businesses of Hitachi Ltd, Toshiba Corp and Sony Corp in a deal brokered by the government. It went public in March 2014 and was worth more than 400 billion yen then. It is now worth 67 billion yen."